The Glideco Cruiser200 is a partner for your journey through the city. It is comfortable to ride with large wheels, front shock absorbers and a low-riding deck. Folding the scooter just takes just one second, and it is light enough to sling...	Read More.. The Glideco Cruiser200 is a partner for your journey through the city. It is comfortable to ride with large wheels, front shock absorbers and a low-riding deck. Folding the scooter just takes just one second, and it is light enough to sling on your shoulder for the train or bus ride. Available in 5 beautiful matte anodised metallic colours. Red, Turquoise, Gun Metal, Pink and Blue. 200mm front and rear wheels. Lightweight, comfortable and versatile. Great for either the daily commute or a ride in the park. 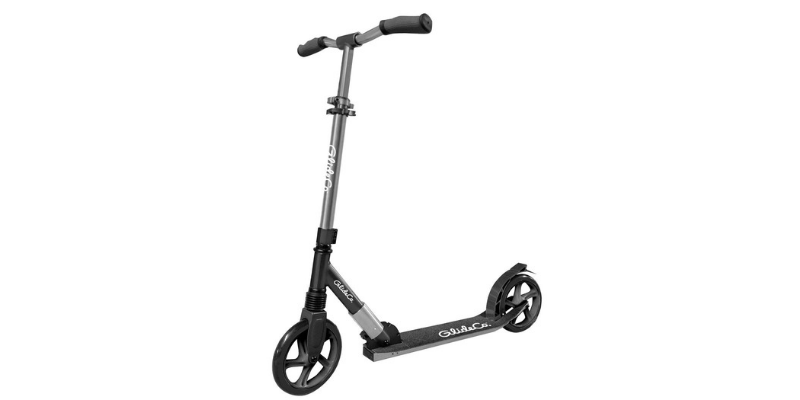 Only 4.2kg, one of the lightest kick scooters with large wheels and suspension available.